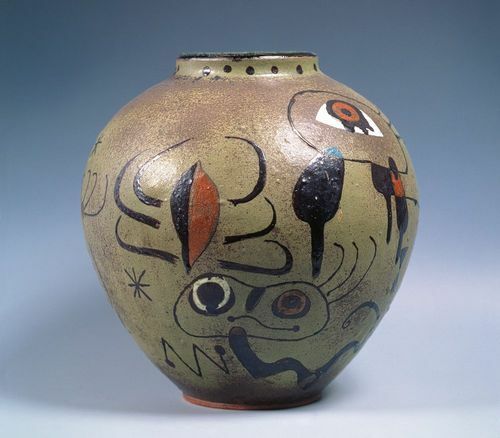 Signed and dated on the base: ARTIGAS / Miró / 1941 / 1944. C. Greenberg, Joan Miró, The Quadrangle Press, New York 1948, p. 41. A. Cirici, Miró y la imaginación, Omega, Barcelona 1949, no. 58. 2001. Cannes, La Malmaison: "Joan Miró. Ancienne Collection Galerie Pierre Matisse,"
no cat. number, repr. p. 69 (col).